Here at Zaman we are used to branding challenges of all types and sizes, but recently we embarked on a truly unique project. 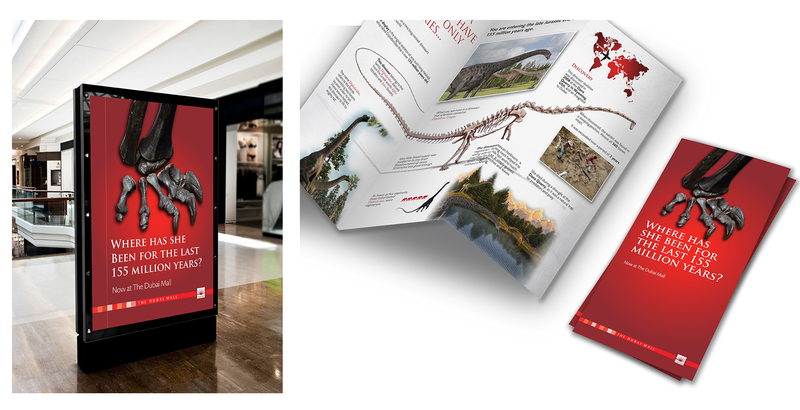 Working with the team from The Dubai Mall, we were briefed to create a brand and the collaterals for the exhibition of a dinosaur, a huge 80 ft long, 25 ft high, 5 tonnes, Diplocus dinosaur (http://www.thedubaimall.com/en/Entertain/The-Dubai-Mall-Dinosaur.aspx). Bought and shipped from the Museum of Houston in the US, the permanent exhibit now gracing the Mall’s main entrance atrium is one of the most complete dinosaur fossils ever discovered. In keeping with The Dubai Mall’s approach of providing unique and world class experiences the exhibit is both an awe inspiring centre piece and an educational attraction. Our challenge therefore was to develop an enduring brand identity that can be evolved and managed over time. Then to create an enlightening and entertaining set of collaterals – the video, to be shown on screens integrated into the exhibit’s base as well as a leaflet, a poster and the launch print advert. For the launch we chose to tease, a close-up of the foot, an enquiry as to her whereabouts for 155 million years, all set amongst a dramatic red background and historic typeface. And then the content, researched in detail and with realistic images commissioned from specialist artist Andrey Atuchin (andrey-atuchin.blogspot.com‎) animated to bring them even more to life. Visitors are certainly learning something during their visit. In the next phase of this brand’s evolution the dinosaur will get a name, selected from public entries on the Facebook page. Zaman will then create a brand mark from the name and a campaign to announce the winning name. In doing so we will strengthen the personality of the dinosaur and deepen the public’s attachment to it. We are also developing a range of merchandise and a kiosk for its display that will help make our dinosaur a lasting memory for all those that visit her. We look forward to reporting on the next step of her new life her in Dubai. There is a lot of speculation on the fate of brands during the economic downturn. Many say they won’t sustain themselves. Some go further and are questioning the meaning of luxury in adding happiness to people’s lives. Which Middle Eastern brand has invested in creativity to create a happy workplace and build trust? Today’s client briefs, are all about saving money and making sales. The history of brands notes that their most efficient growth was achieved when they combined business strategies with meaningful purposes that served humanity and engaged the workforce. Brand guidelines were codes of ethics and their results were measured by their positive reputation. Arab brands can survive. They’re in their infancy and can last during these trying times if they reflect the principles of Islam. To do that they must think in terms of equality, mutual respect, workforce engagement, and creating products and services that serve the community in positive ways. It is often in bad times that people engage in a more cooperative lifestyle. Arab companies can use the current economic reality to elevate their status globally. Managers of great brands are always looking for ways to express their brands in the finest details of execution. Why? Because if they are doing their job well then they know that every single encounter that a public audience has with your brand will either enhance its value or diminish it. The adoption of such an attitude towards managing/nurturing a successful brand is a sure way to ensure that management teams are bound to always stay curious about pushing the envelope to find ways to ensure that each customer experience of the brand is refreshing, unique and incites the customer to voluntarily seek out the same brand experience in the near future. Design is one of the fundamental elements of ensuring brand success. Whether through product design, web design or retail design, great brands create extraordinary experiences – brand “worlds” of sorts — that appeal to all the senses and use details and the interior environment decor to help express their brand personalities. Most, if not all, brand managers should know that all the little things they actually do—or don’t do—for their customers will mean more to them than the big things they claim through their marketing messages. After all, not many advertising campaigns can compete with an impressive one-on-one brand experience that’s been designed down to the last detail and appeals to the human senses. Not surprisingly, some of the most memorable brand experiences are created by superior design elements. Because well-crafted design elicits emotional responses, great brands use packaging design to stand out in the crowd and make powerful first impressions. The best packaging designs are not only emotionally appealing to customers; they also convey the unique meaning and value of the brand. Packaging design alone can facilitate an emotional connection and bonds customers to brands. Managers of great brands are always looking for ways to express their brands in the finest details of execution. In the next couple of weeks we’ll continue to explore which great brands in the Middle East have made some noteworthy strides to appeal to their customers’ senses and create strong emotional connections through design. If you think there are specific brands that must be included or elects explored, let us know here on our Facebook page. As new screens, from ‘wearables’ (think Google Glass) to other connected devices, continue to become mainstream, this constant connectivity to information by consumers offers brands and business opportunities to reach their customers on multiple screens. Consumers today are constantly connected as they move between devices – from tablet, to PC to mobile throughout their daily routines. Businesses need to create websites that fit the needs of customers on all screens, from desktop displays to handheld devices, in all the moments that matter. For many businesses, and we can see this in the GCC by way of the limited interesting brand case studies available that mobile continues to be the biggest missing piece in the multi-screen equation. People use the device that’s handiest for them at the moment, whether that means the desktop at lunchtime, the tablet at bedtime, or the smartphone at the mall. Whatever screen users have on they don’t want to have to pinch, slide and struggle to get pages to load, fill out a form or make a purchase. So a mobile-friendly site has to be part of your overall multi-screen plan. This takes planning, investment and the right tools. Mobile is its own experience, with a smaller screen and a touch interface, not a mouse. Smartphones have added capabilities for on-the-go users, like cameras, GPS and phones. And while desktop users stay at their desks, smartphone users may be anywhere at any time. Ask yourself – What’s the value proposition? Why should prospective customers visit our website and use our business? Understand and anticipate what multi-screen users see and want on our current site by using an analytics program like Google Analytics to see where, if any, current mobile users come from, what actions they take, and how their behavior differs from desktop users (e.g. compare site search queries by device). People who are used to desktop screens want to find the same basic content and user experience on other screens, too. It is critical to preserve these familiar functions while creating an experience that works on mobile screens and tablets. Consider what customers will want from your site when they’re on each kind of device. A user on the go with a smartphone may want a store locator or phone number. Rethink your website and make the most of the power of mobile & your customers will be thankful. Kicking off the new year, our first post is a roundup of news and happenings that are on our radar as we gear up for another year of exciting year of inspiring projects and continued collaborations with our valued clients. 2013 saw an incremental embrace by marketers that content is a critical resource in their efforts. So much so that studies conducted by social media blog Social Media Today reported that 78% of CMO’s believe custom content is the future of marketing. Likewise, on the platform side 2013 also saw the influx of content discovery apps which support the growth trend: Flipboard, Pulse, Fancy, Houzzer, etc. This trend is expected to continue in 2014, with marketers, more likely to consider allocating better budgets to the content development process. In past posts we’ve underlined the power of story telling. The delivery format of the story is just as important. Videos have the ability to convey a message that is ten times more powerful than text content. Campaigns such as KONY 2012 that gained viral fame are proof that great video content has the potential of becoming an overnight viral success. Also, with apps like Instagram, Snapchat and Vine, videos are increasingly being easily created, viewed and shared on mobile devices. Facebook has also introduced and enhanced their mobile ads platform. When it comes to Pinterest, many brands aren’t quite sure how to turn boards and pins into followers and potential customers. However, now more than ever it is important to not overlook this image sharing social network. 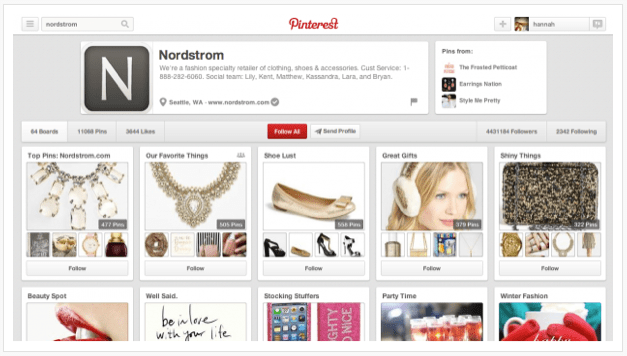 Numerous studies suggest that online consumers have made a purchase based on recommendations from Pinterest. The same studies indicate that Pinterest generates 4x more revenue per click than Twitter and 27% more per click than Facebook. Today we live in a world where brand and project launches have to compete to create amazing, engaging experiences in order to win the attention of intended audiences; and experimenting with interactive technologies is certainly a good place to start. In a promotion for the recently released game, Forza Motorsport 5, Pizza Hut UK has teamed up with Xbox One and augmented reality app, Blippar, to provide customers with exclusive game content directly on their smartphones. In previous posts we have mentioned our belief that brands that act in an authentic manner & stick to a clear brand story will be rewarded by loyal customers. People who love your brand will introduce you to your new customers. Recommendations come from your advocates – a network of highly satisfied, passionate and connected customers who love your products and service. It can create awareness of your brand, help increase your sales, and increase consumers’ trust in your brand. 50% of advocates recommend a brand because they had a good experience with a product or service. Recently we came across an infographic, which illustrates the importance of brand advocacy in your marketing strategy using the digital space as a context. Customers trust people like them, and that is who you’re brand advocates are. They are customers who love your product and want to recommend it to the people they care about. Click here to view infographic. A new exhibition in London called “Systems” invited top designers to pay tribute with a series of 34 posters to industrial designer Dieter Rams’s work with Braun – an epitome of the ever austere German Functionalism. At Braun in the 1960s, Rams put into practice a comprehensive approach to ID and brand strategy where products weren’t designed in isolation, but rather as a part of a family of iconic products. Many critics today say Rams’s influence can be seen today in the Apple-dominated world of highly stylized product lines. “Systems” celebrates the cohesiveness of Rams’s design program by displaying examples of the company’s classic 1960s products coupled with the exhibition of commissioned posters, which are displayed in an interlocked mosaic on a giant wall of the Walter Knoll showroom. The exhibition showcases many different approaches: Artica Design emphasized the Braun LE 1 speakers with their clean functionalism and grid-like grill, while Swedish design studio Lundgren+Lindqvist opted to abstract Braun’s design language through pixelation. Bernd Grenther’s design explores the evolution of Braun’s color palette from 1955 to 1995. Designer Tom Higston, on the other hand, showcases how the design of one of Braun’s iconic products–the egg-beater– is still a beautiful object even when splattered with batter. Although, today Braun’s products have moved away from their utilitarian intentions and become more like decorative objects, Braun’s systemic approach to rational industrial design, under Rams’ legacy, provides a great blueprint for achieving branding cohesiveness which contributes to brand success and can be seen practiced even today by companies such as Apple. For those traveling to London anytime soon, Systems will be on exhibit until January 31, 2014. Having worked with so many different brands in the region throughout the past 18 years we have enjoyed a lot of proud moments. Some, however, naturally stand out over others. Back in 1998 we embarked on what was at the time one of the most significant branding projects in the region. Zaman was approached by the then ‘Emirates Telecommunications Corporation’ to join the process of evolving them into a customer facing service company with the capacity to grow internationally. At the time very little was known locally about branding beyond its delivery of a new logo. So patience and the sharing of our knowledge were essential at every stage. The Etisalat brand was of particular National importance as it was the only brand that was omnipresent in all Emirates as the sole provider of its service. Everyone in the UAE had to deal with them so this project would touch everyone at home and at work. The challenge was very much to change the perception inside the company and across the UAE that this government institution was radically changing for the good of its customers. To achieve this Zaman created a brand and launch platform that was very personal to the audience and related closely to them as individuals. We switched the official name to the ‘street’ reference everyone used, Etisalat. We created a new logo mark intended to represent a human form and radiating sound waves of communication breaking from within its own boundaries. The dominant green spoke of a balance, security and growth. The brand mark was based on a strong and detailed visual identity system that was applied to all the collateral’s – stationery, forms, bills, receipts – and communications tools – brochures, flyers, adverts, posters, signage etc. A comprehensive visual guidelines manual was provided so the brand managers could keep control of the brand’s development through the 100’s of channels and contact points they had to manifest the change. Redirecting the mind set of the people within the organization was critical to delivering an authentic change to the customer experience. To support this we commissioned a photo shoot, which captured the unseen human face of the organization – people working with and for people. We shared it across the whole organization just prior to launch through a brand book, a presentation, and an intranet and poster campaign. Everyone in the organization got new business cards delivered in a personalized cardholder on the day of the launch. For the public launch we created animated illustrations that communicated positive yet ‘soft’ messages to customers rather than harsh over ambitious corporate messages. The logo was launched locally with huge, first of their kind, building banners installed on each of Etisalat’s head office buildings in each Emirate and unfurled on the day. A new day. The Etisalat project of 98 / 99 was a truly a milestone project both for Zaman ad for the UAE. It was followed by a huge wave of re-branding and new brand development across the UAE as the modern commercial age of swept through the UAE’s local businesses at full speed. Etisalat’s change was a true precursor to the incredible developments that were to happen over the next 10 years. 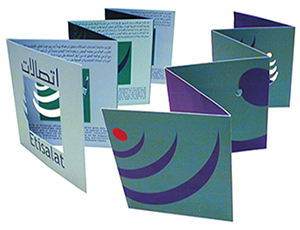 For Zaman, the successful launch of the project lead to Omantel and Qtel branding projects, as well as a host of projects with local companies. Some huge and some start up and from a broad spectrum of industries, all these companies recognized they had to respond to the huge change in the needs of the market place for organizations driven by their brands. They had to become brands. The marketing industry has an affinity for predicting trends for the coming year and we’re already seeing a few interesting predictions floating around online for 2014. On the other hand, as we head towards the end of the year, we also start to see a lot of lists that fall into the category “a look back at the year that was”. These too are quite interesting, especially when they are purely consumer generated. Enter the top viral ads of 2013. What do you think? How many of these ads did you watch? Below are some of our favorites & you can see the complete list here. Last month Dubai played host to the Middle East Retail Forum, an annual unique forum where retailers and their associates come together on a common platform to discuss critical issues and trends shaping the future of Middle East retail industry and share their experience and exchange industry knowledge. One of the interesting output reports we came across online was by digital agency FITCH, titled “The Joy of Shopping: It’s all in the mind”. An examination of what consumers want from the shopping experience, the findings are based on a 2012 survey in which 7,250 shoppers in seven markets – China, India, Brazil, Russia, USA, UK and UAE were polled. Referred to as the first quantitative global study of shopper mindstates, the survey explored today’s shoppers from a number of critical angles: 1) degree of involvement in the shopping experience, 2) satisfaction levels with current shopping experiences, 3) perceived channel preference across: store, website, app & social media, and 4) the gap between their current and ideal imagined shopping experience. To give a bit more of a truer context, polling questions were limited to three categories: electronics, groceries & fashion. Despite the entrance of e-commerce, sluggish world economies, people’s enthusiasm for the world’s favourite pastime remains high. The electronics category enjoys the highest levels of enthusiasm for shopping across genders & income classes. Shopping enthusiasm is felt most strongly in emerging markets. This is largely attributed to burgeoning middle classes and their enjoyment of the opportunities brought by higher disposable incomes and expanding retail choices available to them. Shoppers in mature markets, US & UK, are less likely to describe themselves as enjoying the experiences. It is in these markets that retailers need to explore ways to re-engage customers. Despite the emergence of e-commerce platforms and evolving use of digital tools, bricks & mortar stores are in no danger of going away anytime soon. Customers still view the physical store as the most preferred shopping channel. People do a lot more shopping “in the mind” and don’t restrict their browsing and buying to physical stores. Retailers should work to develop an integrated and rich range of experiences that can satisfy the shopper’s need to dream about and explore new product choices as we as efficiently locate their final choices. Readers interested in viewing the full report can do so here. In a destination like Dubai which has successfully leveraged itself as a strong player in the shopping tourism industry, ongoing surveys such as this offer useful insight on how retails brands and even shopping mall brands can continually inspire & satisfy their customers. Shoppers want to be inspired, whether they are shopping for Saturday evening’s dinner, or something to wear for a first day at work. As shoppers gain more access to brand & product knowledge and evolve their behaviours, retailers need to invest in keeping pace and matching or surpassing the shopper’s expectations.